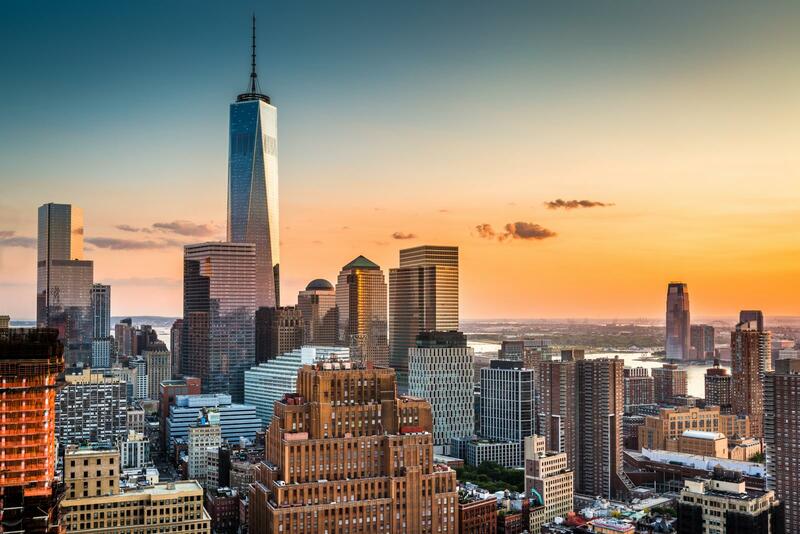 The One World Trade Center in New York was built as a sign of freedom at Ground Zero and is now the tallest building of the Western Hemisphere. 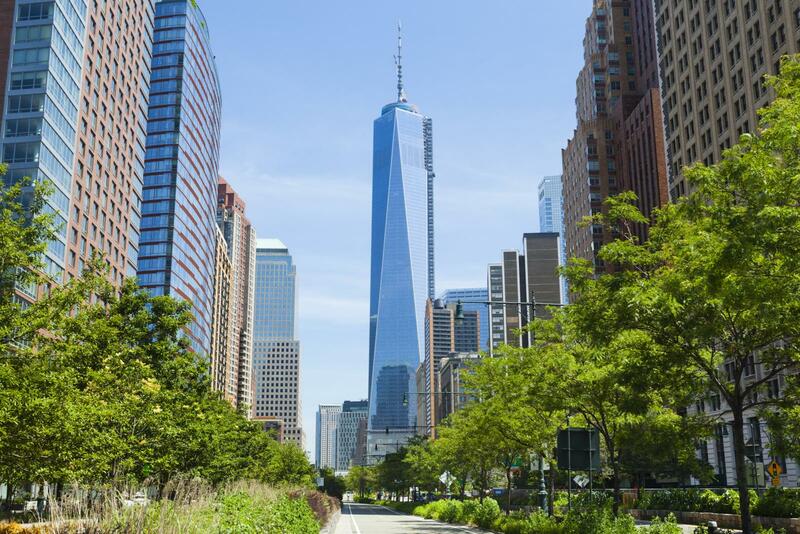 Everything you need to know about One World Trade Center and its One World Observatory observation platform, is covered in this article. One World Trade Center rises from Ground Zero – the same area where on September 11, 2001 the terrorist attacks on the Twin Towers occurred. Originally, this building was to be called Freedom Tower, but its name was later changed to its current one due to marketing reasons. Precisely because it has so much symbolic meaning, the design and implementation phases took a very long time – there were various designs and conflicting ideas. We were starting to wonder why there was such little progress at the construction site during our 5 visits to New York after 2001. The design is characterized by the concepts of Daniel Libeskind – the famous architect who, among other things, designed such renowned buildings like the Imperial War Museum North in Manchester and the Jewish Museum in Berlin. But it is not he who is mentioned in the literature as the architect of One World Trade Center, but the American, David Childs. He further developed Libeskind’s designs and is the one responsible for the truly successful design. One World Trade Center has a total of 104 floors, a gigantic lobby, and an observation platform. The observation platform of One World Trade Center – One World Observatory – opened May 29, 2015. Get more information here. Originally, the tallest building in New York was to be called “Freedom Tower” – referring to Americans’ striving for independence. But it was determined that this emotionally-charged name did not lend itself well to marketing efforts. The main tower was consequently renamed to One World Trade Center. The One World Trade Center Observatory opened to public at the end of May 2015. 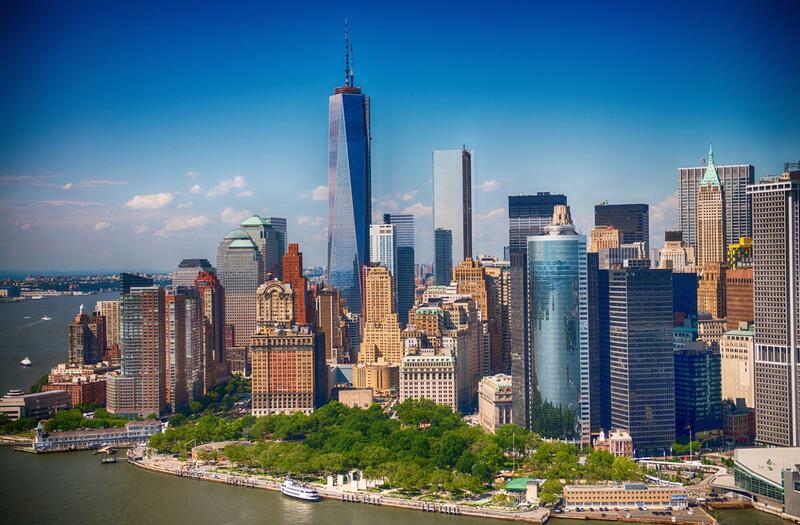 You can by tickets for One World Trade Center and its observation platform One World Observatory here. 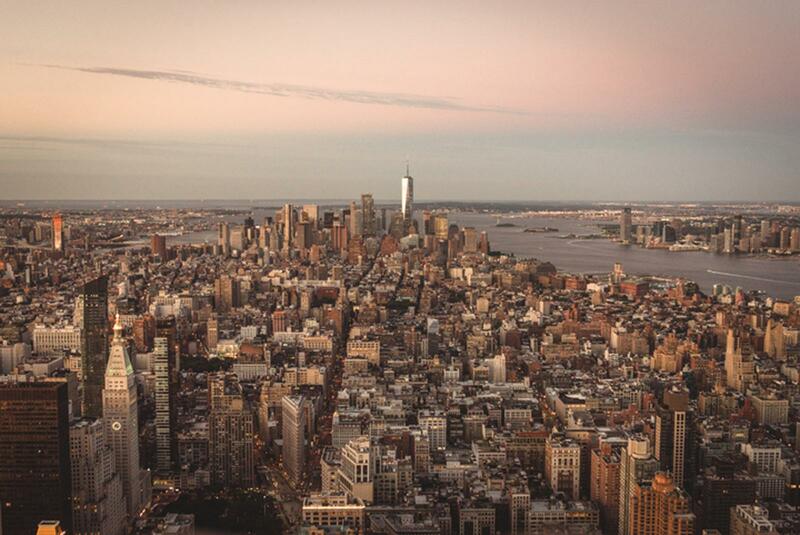 You will receive e-tickets that you need to print out and bring with you when you visit One World Trade Center. 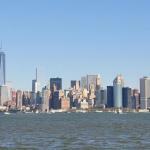 The terrorist attacks of 9/11 have had a profound effect on New York and the US. But as demonstrated previously in the past, New Yorkers find their own way in dealing with it. 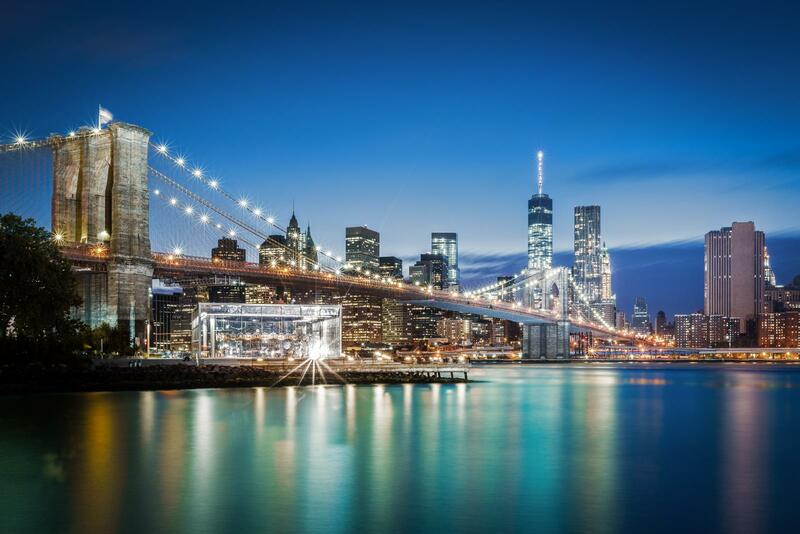 With strong local patriotism and optimism, New York once again shows its ability to change, renew, and re-invent itself. It is therefore no surprise that One World Trade Center has been shaped by many American ideals. With a height of 1,776 feet (approx. 542 meters) One World Trade Center is once again the tallest skyscraper of New York and thereby honors its two predecessors. The height of the building is no coincidence: 1776 symbolizes the year of the declaration of independence of the United States of America. 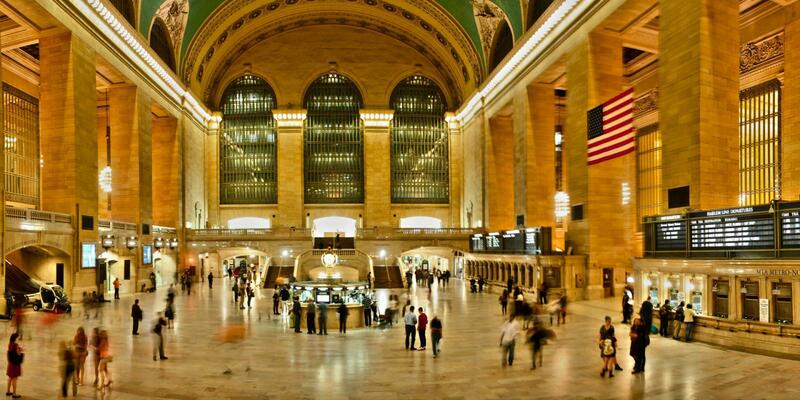 It embodies the strength, optimism, and confidence of the American people like no other building in New York. Groundbreaking also took place on an important day: July 4, 2004. This day is celebrated every year with great fanfare – it is America’s Independence Day. As you can see, One World Trade Center is full of symbolic meaning and this shows how important it is to New Yorkers to have a successor that is more than worthy of the Twin Towers. Security and safety measures were a top priority. The most important aspect of the building was its safety: a specialty steel composite that has excellent fire resistance properties and will withstand extreme temperatures was chosen for the construction. All windows of the lower floors are made from especially hardened glass that will not shatter in an explosion. Independent ventilation systems prevent the dissemination of possible hazardous gasses, and emergency exits were designed to be extra wide. All the vulnerabilities that came to light in the terrorist attacks of 2001 have been addressed in the new building. The trauma of the collapse of the Twin Towers is not forgotten and is not to be repeated. The National 9/11 Memorial (here you will find more information about the 9/11 Memorial as well as the 9/11 Memorial Museum) is the focal point of Ground Zero and is a place of remembrance for the victims of 9/11 and the bombings of 1993. 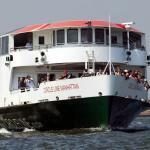 It is also located at Ground Zero and is one of the most-visited sites in the Financial District. Especially at night, the two pools that have been built on the precise footprints of the former Twin Towers, will leave a profound impression on you. This quiet place of reflection is aptly situated in the middle in the hustle and bustle of New York. The design of the memorial was in large part the work of Libeskind, who had incorporated the “Reflecting Absence” in his overall plan. I find it to be a highly successful architectural accomplishment. In addition to the Tower 1 One World Trade Center, which also has the address “1 World Trade Center”, there are 4 additional buildings as well as the National 9/11 Memorial. In my opinion, the most beautiful skyscraper is Two World Trade Center, which was developed by the famous architect Norman Foster. Once completed, it will be the second tallest building in New York and reflect the shape of diamond that has been cut open. 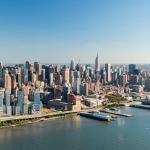 The third tower will reach a height of 378 meters upon completion, and will be the 4th tallest skyscraper of Manhattan, followed by Tower 4, that with a height of 297 meters will be the smallest of the four buildings. 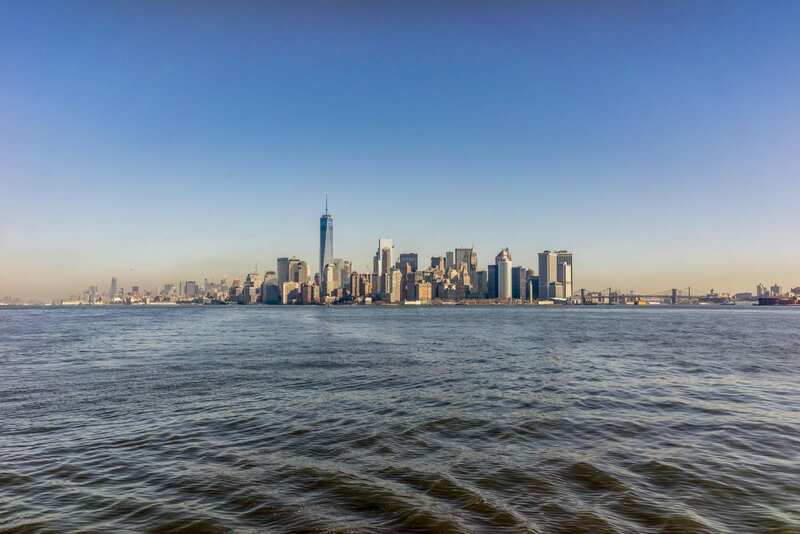 One World Trade Center also makes a striking impression from the water: the building is truly beautiful, and its grandeur and presence in the New York skyline are simply phenomenal. We took a helicopter tour that let us experience One World Trade Center from a special perspective: from the air! 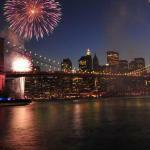 If you can arrange it, it is worth being in New York on the fourth of July, national independence day! Fireworks over the Hudson River are spectacular; there is something going on at every street corner; and you will feel the typical “American spirit”! Where is the Oculus “Sky light” we made the skeleton frame ( vertebrae) for it!!!!! It is very close to the 9/11 Memorial. 33-69 Vesey St. is the exact address! Enjoy! !